Last week we went to NAB to check out some of the best stuff in the industry. Not only are we RC geeks, but we are also a bit obsessed with film production. 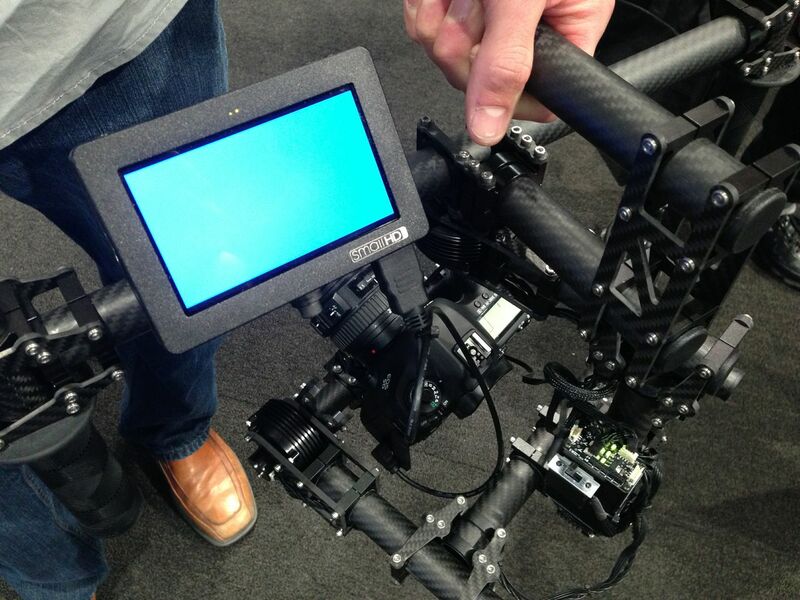 That said, this post is about all the cool stuff we saw at the 2013 NAB show in Last Vegas. Radio Control Aerial Cinematography and Photography is exploding. We actually met Emanuel Previnaire, a guy who has flown shots for many major motion pictures as well as winning an Oscar for his work as a pioneer in Radio Control Aerial Cinematography. Below is a photo of one of his special setups. He has gone on to sell them. So if you have $500,000 extra to spend, you can be outfitted with 2 complete setups. Next is the new FreeFly MoVI M10. It’s a revolutionary 3-axis gimbal that takes camera stability and control to a whole new level. It has brushless direct drive motors with multi axis gyros and accelerometers to ensure a smooth and stable image. They began taking pre-orders with an expected delivery of 3Q 2013. 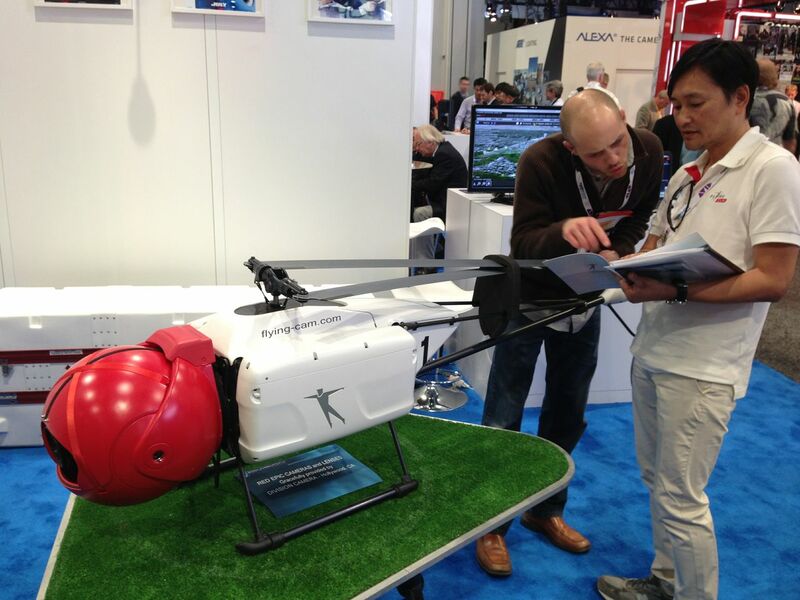 For the hefty price of $15,000 it will be interesting how many people end up purchasing them through their exclusive US distributor Quadrocopter. The star of the show? I think it was the RED Dragon. You can walk around the entire show….and what do you see? RED. Everywhere. They setup a mobile lab where they began upgrading cameras with the DRAGON sensor and brain. 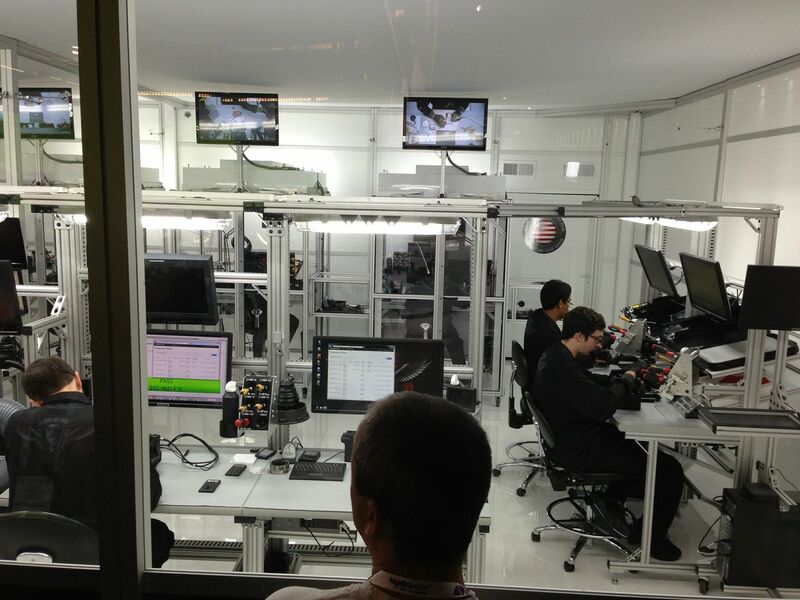 Below is a shot of the modular onsite ultra clean upgrade lab. For around $9,000 you can have your RED EPIC upgraded to a 6K RED DRAGON. This entry was posted on April 15, 2013 by flyboysair. It was filed under Film and TV .